Wow. Those Christmas ones are just so horrible and extremely tacky. I hate when artists make poppy versions of good Christmas songs - just leave the originals alone! I'd much rather listen to the orchestral or choral stuff anyways. The very idea of gregorian middle age style monks singing rock classics like Metallica's The Unforgiven or R.E.M's Losing my religion .. seems pretty ridiculous to me. 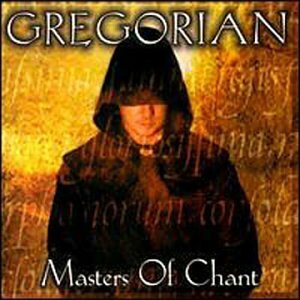 Gregorian style chanting was popular hundreds of years ago and unlike a capella singers today, they all sang the same voice. No interesting harmonizations or anything. Why someone thought that would be a good way to cover modern pop and rock hits is a wonder, but the fact these records have gotten popular is an even bigger mystery. Not surprisingly, the gregorian project is led by Frank Peterson, one of the founders behind the new wave electronica project Enigma. While Enigma was embarassing, it was only 1/10th as embarassing as the Gregorian albums. As cover albums, they're even worse than the mass produced pan flute albums because the cheese and pretentiousness levels are far off the scale. Fortunately, there are less of them, but they've been popular enough to make a total of 7 albums in the "Masters of Chant" series with number 8 on the way. A lot of us europeans have suffered their presence, but hopefully you americans have been spared .. so far. These are parasites of the musical business. Their success is based almost entirely other people's hit songs which they warp into these embarassing parodies of their former selves. It's a crime I tell ya! Oops, there are more albums than I thought. There are a few more, including a christmas album which makes for a potential double crime. Seems we are I had forgotten about your old one, although maybe the thread title had sneaked into my subconcious. I think the threads are differently themed as your old thread deals mostly with specific artists and songs while the approach here is more geneal, but .. I'm sorry for stealing your thread title. I did do a search before I created this, but I clearly didn't do it thoroughly enough. No complaints here. This version appears to be the thinking man's version of my old one anyway. Here's my contribution to what I consider a heinous crime against music of the highest order. Between the years of 1968 right up until 1982, Pickwick's Hallmark label insisted on releasing the abominations known to it's victims as the Top of the Pops Album. These crimes against music were perpetrated by anonymous criminals/session musicians going by the laughable name of 'The Top of the Poppers'. The idea was to replicate the hits from the particular year of the albums release. Kind of like the modern day releases of the ironically named 'Now That's What I Call Music' CD's...only much worse!!! Which is more than can be said of their dubious content. Random covers from random years shown below. Holy crap, that's bad. How are they even allowed to? 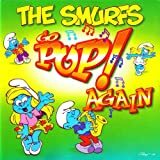 I'm not sure how popular these are in the rest of the world, but in Norway, it seems there's at least one new smurf release every year. I don't think we have those over here and I'm pretty happy about that.